Step 1:Call 1-855-478-47355 to file a claim (must have registered within 30 days of purchase and have proof of purchase). Step 2:You will receive a claim number and repair center location near you (you can choose your own repair center). Step 3:You must complete and pay for the repair first and then email the receipt with the claim number provided to claims center. Step 4:Claims department will validate and issue check within 1-2 business days for screen repair amount up to $150. Before sending us a message with your inquiries, there's a good chance that we already have the answers for you. You must register your limited warranty at www.liquipel.com/registration within thirty (30) days of purchase. Failure to do so may void the warranty. Is this limited warranty transferable? Unfortunately, this limited warranty is non-transferable and only applies to the original purchaser and their device. How long will the limited warranty be effective? The limited warranty will be effective for a period not to exceed one (1) year beginning with the original purchase date. This period shall be defined in or on your original product packaging or purchase receipt. What are the guarantee payments for each Liquipel product? Please contact us at toll free 1-855-478-4735. Proof of purchase as evidence the unit was purchased from an authorized dealer or the original product being replaced may be required for warranty service. Your device must have the Liquipel product installed and in place at the time the device was damaged and when the device is sent for inspection or when taken to the repair center of your choice to be repaired. The customer service representative will provide information on your claim options, shipment, and claim settlement. If you choose to have your device repaired at the location of your choice, you will need to keep your receipt and email it to customersupport@liquipel.com to be reimbursed up to the guarantee amount agreed upon purchase & registration for that Liquipel product. Reimbursement will be provided only for the parts and labor to repair the device’s damage screen. Reimbursement will not be provided if additional parts and labor costs are required for other components of the device. What does the limited warranty entail for these products? The Liquipel Safeguard products are fully guaranteed against defects in materials or workmanship. 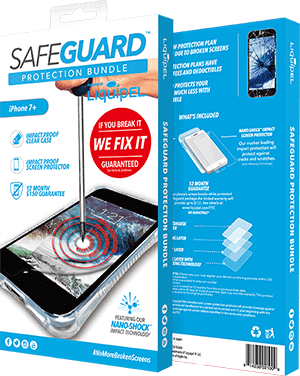 Subject to the guarantee limit during the term of the limited warranty ($100 for Safeguard Lite, $150 for Safeguard, and $150 to $200 for Safeguard Tablet), if the Liquipel screen protection product is properly installed and your device experiences screen breakage, or material damage to the screen, Liquipel will pay you up to the guarantee towards the repair or replacement of the devices screen only. It does not cover screen breakage or material damage to the device resulting from catastrophic damage that renders the device inoperable, including but not limited to liquid damage and destruction of the device. It does not cover product damage that may have resulted from normal wear and tear or misuse/abuse of the product. Liquipel will not be liable for any indirect or incidental damages arising from the use of this product. NOTE: Make sure that your screen is clean by using the provided microfiber cloth to wipe any dirt or grime away. You may use the dust removal tape for stubborn dust particles. 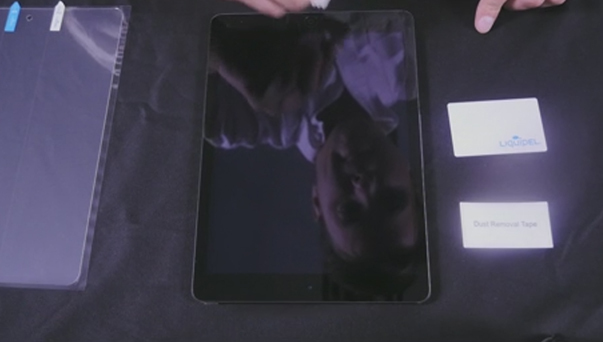 Peel the tab labeled ‘Step 1’ from the NanoShock Impact Screen Protector and use the end tabs to align your screen protector and the phone’s screen. 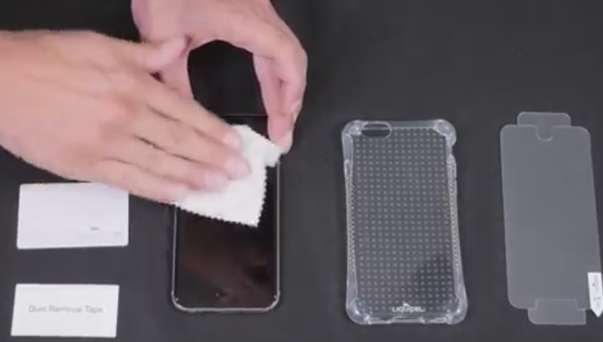 Make sure the exposed, adhesive side is pressed down on the screen, and slide your finger down the center, and push the bubbles out using the microfiber cloth or a squeegee. Remove the protective sheet by pulling the remaining tab and peel it off the screen protector. Proceed to push out any remaining air bubbles in the edges using the microfiber cloth. To install your ArmorTEK™ Case, slide the device into the case bottom first, then push the top part inwards. It should fit snugly against the phone. Peel the tab labeled ‘Step 1’ from the Nano-Shock Impact Screen Protector and use the end tabs to align your screen protector and the phone’s screen. 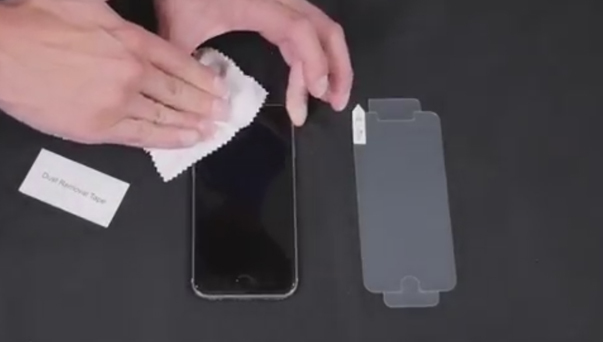 Make sure the exposed, adhesive side is pressed down on the screen, and slide your finger down the center, and push the bubbles out using the microfiber cloth. Pairing Mode: Turn on Power Button. all-STREAM will automatically enter Pairing Mode. Blue indicator will start flashing. Then, Blue and Red indicators will rapidly flash followed by a tone, indicating that all-STREAM is ready to pair with your device. Switch off Power Button. Red indicator will flash followed by a tone. Short press Multi-Function Button once and wait for indication tone to answer an incoming call. Short press Multi-Function Button once and wait for indication tone to end a call. Press Multi-Function Button for 2 seconds and wait for indication tone to end an incoming call. In Standby Mode, double click Multi-Function Button to redial last number called. In Standby Mode, press and hold Multi-Function Button for 1.5 seconds to activate voice command function on Android or iOS devices. Refer to phone manual for detailed instruction, if applicable. During a call, press and hold - Button for 2 seconds to mute or unmute your mic. You will hear a warning tone every 10 seconds while in Mute Mode. Short press Multi-Function Button to play or pause music. Press and hold - Button for 2 seconds to play previous song. Press and hold + Button for 2 seconds to play next song. You will only be able to see all-STREAM’s battery levels when connected with iPhones. 1.	all-STREAM will automatically enter Pairing Mode once you have disabled the Bluetooth function on the first device. 2. 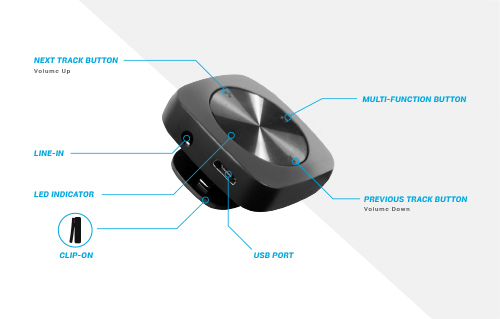 Search for and connect with the second device. 3. Enable the Bluetooth feature on the first device again so all-STREAM can now connect with both devices. 4. While taking a phone call on the first device and having an incoming call with the second, double press Multi-Function Button to transfer the second call and hold the first one. Double pressing Multi-Function Button will enable you to transfer between calls. Long press Multi-Function Button for 2 seconds to reject the second call. 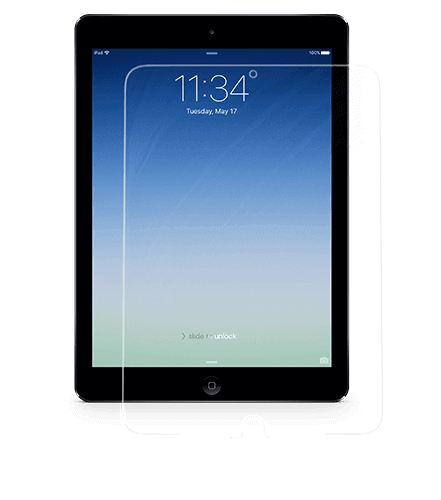 The SafeGuard Protection Package warranty covers product defects such as adhesive issues with the NanoShock Impact Screen Protector, and deformities and discoloration on either the screen protector or the ArmorTek™ Sleek Clear Case. The defective product/s will be replaced, absolutely free of charge. 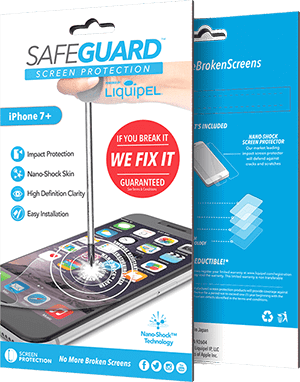 The SafeGuard Lite warranty covers adhesive issues, discoloration, and deformities with the NanoShock Impact Screen Protector. The defective product will be replaced, absolutely free of charge. The SafeGuard Tablet Protection warranty covers adhesive issues, discoloration, and deformities with the NanoShock Impact Screen Protector. The defective product will be replaced, absolutely free of charge. Step 1: Call 1-855-478-4735 to file a claim (must have registered within 30 days of purchase and have proof of purchase). Step 2: You will receive a claim number and repair center location near you (you can choose your own repair center). Step 3: You must complete and pay for the repair first and then email the receipt with the claim number provided to claims center. Step 4: Claims department will validate and issue check within 3-5 business days for repair amount up to product stated guaranteed amount.